I have created a Swift tag job alert for myself. Which has no Swift tag. 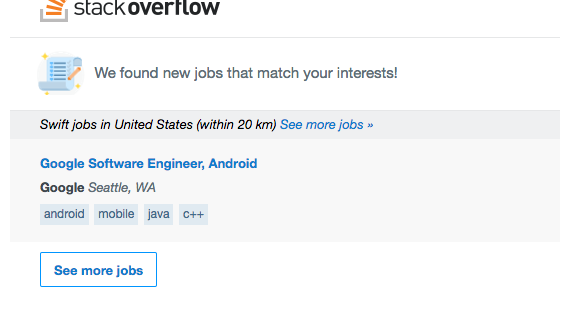 I looked into the job description and found that it had a single mention of Swift while it was actually an Android job. So is there anyway that job descriptions could be made more accurate and strictly based on the tag, or its pros outweigh it's cons and it's just something that we have to deal with? Browse other questions tagged discussion bug jobs job-alerts .